Today I would like to offer a little food for thought. 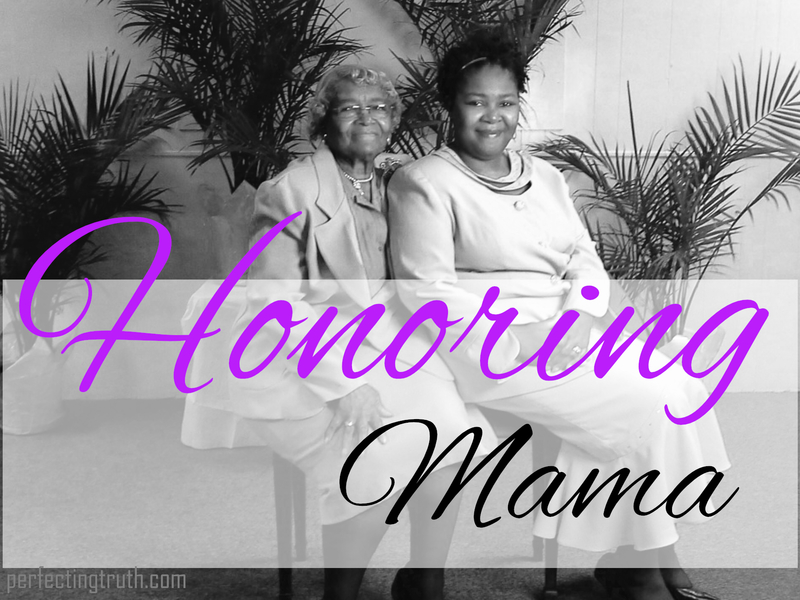 Mother’s Day is tomorrow and almost everyone will do something for their mama on this day. I believe we should honor our mothers every day of the year. I will tell you what I have observed though, from watching my own family as well as others, over the years. Fathers play a major role in how their children view their mother. If the father does not love, honor, and respect his wife and instill this in his children then they will often not love, honor, and respect their mother. I don’t mean they won’t love her to some degree, but they will often overlook her and not have the care and concern for her that they should; they will treat her as they have been taught to treat her. Sons especially will often follow in the footsteps of their father in regards to their mother. If boys watch their dad neglect, disrespect, ignore his wife and then toss her a fake rose or nothing every mother’s day then you can just about bet they will do the same or less when they grow up. Their mother will be “just mama” to them; she won’t really hold a special place in their heart because they were never taught to value her growing up. Sometimes they may even do partially better, like one young man who grew up with a father who did not love his mother. When he grew up he vowed not to treat is wife like that; however, his own mother still was not of great value to him. Of course this is not true in every case, but I have seen far too much of it! I have also seen the opposite. When a father teaches his children, by example, to love and value their mother, his children grow up and continue to love and value their mother. There is much more to being a father than just creating children! Kids enter this world blank. Parents are the ones who shape them into the adults they become. Perhaps you were never taught to value your mother, or maybe you are holding something against her for whatever reason. Please understand that mothers are not perfect, but good ones do the best they know to do with what they have been given. Don’t compare her to others; love her because she is your mother. Give her the same mercy, compassion, forgiveness, understanding, respect, and benefit of the doubt you want her and others to give you. I cannot stress this enough; LOVE YOUR MOTHER and honor her every day. So thankful for the truth that perfection is not a prerequisite for motherhood!